Report has it that President of the Senate, Dr Bukola Saraki, said the Senate would soon meet with security chiefs over military action against members of the Indigenous People of Biafra, IPOB, and their leader, Nnamdi Kanu. According to report he said the meeting would chart a path for resolution of contentious issues causing tension in the South-East and also address the skirmishes in Plateau and other states. This is as the Nigerian Army declared that its ongoing operation in the region will continue. 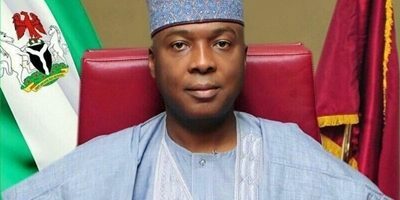 Saraki in a statement on Sunday in Abuja said that security agencies, political and religious leaders must work for the promotion of dialogue as means for tackling agitations, to ensure peace in the country. The statement signed by his Special Adviser on Media and Publicity, Yusuph Olaniyonu, urged all Nigerians to maintain peace and avoid statements or actions capable of aggravating the tension in parts of the country. ?The tension in some parts of the country has its roots substantially in the economic situation. The nation should be assured that some of the legislative and executive actions taken to address the economic problems are beginning to yield fruits. ?This is why we recently witnessed the rebound of the economy and the exit of the country from recession,? ?he said. ?I want to appeal to our people to avoid stoking ethnic or religious fires. We should not deepen the fault lines of our nation and place citizens in danger of violence and sustained crises. ?The government requires the support of all Nigerians and we should please give peace a chance. No real development or genuine economic activity can take place in the midst of crisis or tension. ?Investments and development thrive only where there is peace,? ?Saraki said. ?All leaders at this point must canvass support for government and preach peace, love and harmony. ?Once again, I plead with our people to avoid taking laws into their hands or antagonizing our neighbours,? ?Saraki added.